I had looked it up a few months ago before my trip to Wyoming because there’s a medicine wheel in the Big Horn Mountains. It’s at a height of about ten thousand feet and only without snow two months out of the year. I got that it was like a Native American Stonehenge. Its rocks were aligned such that during summer solstice, one can sit in an accurately placed cairn and see spokes of rocks that point to the rising and setting places of the sun. This was exciting to me because I was going to be there the day before summer solstice. I really wanted to see it. My sister and I tried to hike the two miles to the wheel, but alas, it was not to be, for snow still covered the trail. One slip, and I’d be at the bottom of the mountain, dead. After Susie’s comment, I did some research. One of the three R’s of creative nonfiction is Research. Information is the reason for the genre, the reason for the story. Teaching the reader. And I discovered information that contains implied Reflection (another R) and takes the story to a whole new level. “Then there’s a circular herb garden, fifteen feet in diameter, outlined with stones, with a square-stone pathway inside it running one side to the other and top to bottom, forming a cross, plentiful with parsley, sage, rosemary, sweet mint, and thyme. It’s made like a medicine wheel, an ancient Native American stone formation, laid out in a circular pattern that looks like a wagon wheel, its arrangement of rocks and cairns pointing to the rising and setting places of the sun at summer solstice. Early on, Native Americans observed that there are no straight lines in nature. Nature expresses herself in circular patterns, from a bird’s nest to the cycle of seasons or the cycle of life—birth, death, rebirth. Thus the wheel represents the universe and also one’s own personal space or personal universe. It’s a mirror that lets one see what is going on within, how to realize and reach her potential, how to heal. The word “medicine” refers to the power or force inherent in nature and to the personal power within oneself that can enable her to become more whole or complete. The wheel symbolizes harmony, connections, and peaceful interaction among all living beings on Earth. A medicine wheel is a sacred space, a place for meditation, a centering device for one’s consciousness. 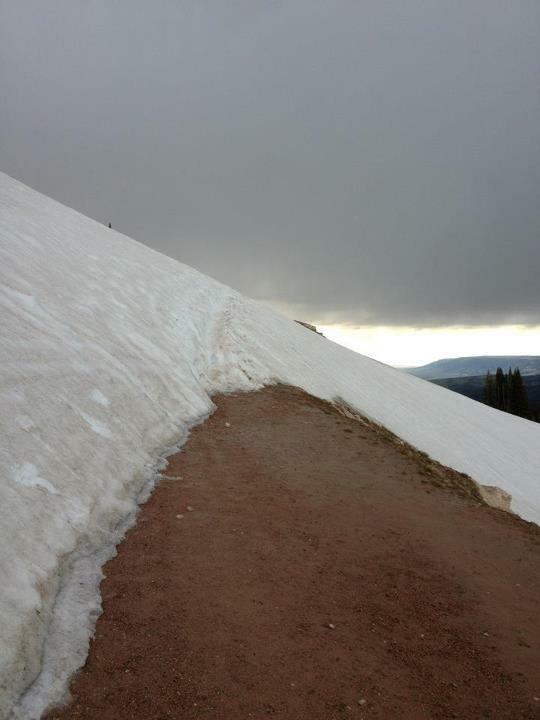 I tried to hike to the Big Horn wheel in Wyoming on summer solstice this year, but the trail across the forty-five-degree, steep mountain slope was covered feet-deep in snow, and treacherous. I couldn’t make it. I was afraid and turned back. This is way too long for a blog post, but it sums up all I’ve tried to say, didn’t say, said in other words over the past months. So here goes anyway, and if it’s too long, just don’t read it, and it’s a rough draft so the opening isn’t very compelling, and it’s not at its best, but it’s out there. In more ways than one. July 29, 2012. Four years, one month, one day after Charlie died. Today, I have worked in the backyard of my brand new house for nine hours, taking short breaks to get out of the over-one-hundred-degree heat index, guzzle water, and let my heart rate slow. When I bought in December, the backyard was stone-solid sienna clay with red strains running through it. Fescue seeds had been scattered on top of it and covered with straw. Spring rainwater wet the clay and pounded the straw in to mesh as part of the earth’s hardscape, and now the summer sun has baked it. Pottery, that’s what it is. Lord, I think, this is going to kill me. The yard is wide and shallow—room enough for two maples, a crape myrtle, a hemlock, and a tulip poplar, once they reach full stature. I did the landscaping myself. I was working with that god-awful, slippery, rubbery clay-dirt, and rainwater would not soak in, but just sit on top of it, and what little finally did settle in stayed four inches beneath the surface, so the roots of my plants were sitting in stale, stinky water. It’s like this, they told me at Riverbend Nursery: When you dig a hole for a tree, you create a bowl, like a hard clay pot. Picture it. When it rains, water sits in the bottom of that bowl, like milk after you eat your cereal. You’ve got to amend the soil. Mix in soil conditioner, new dirt, and native soil. Tamp it in tightly around the tree roots to keep it from having the bowl effect. At the Home Extension office they told me: Don’t make a perfect hole. Use your shovel to break up the sides, leave little clods in the bottom, make it jagged. I’ve just finished the last segment of a stone path that runs from my deck to the little vegetable garden at the back fence, where I can eat warm-off-the-vine tomatoes, peppers, strawberries, cucumbers, and cantaloupes. I overdid it, I ache all over, and I’m stiff from carrying rocks, bending, squatting, digging, pulling weeds. I can barely lift a foot to walk up the four steps to the deck. 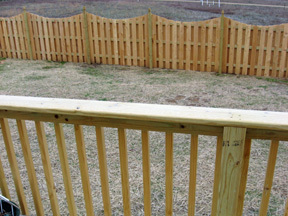 I stand and lean on the railing and look out over my handiwork. A dragonfly zooms by close to my head. There are lots of them, all abuzz. Seem desperate, in search of something. They sparkle in the sun. Dragonflies have iridescent wings and bodies. Iridescence is the property of an object to show itself in different colors depending on the angle and polarization of light falling on it. The magical property of iridescence is associated with the discovery of one’s own abilities by unmasking the real self and removing the doubts one casts on her own sense of identity. Self-discovery. For me, the last four years have been a period of self-discovery. When your spouse dies, your life stops. You don’t know it at that moment, but everything that was, is no more. Each moment of every day finds a way to remind you that you are alone, things are different, and life will never be the same. You scramble blindly in a flood of adrenaline to pull together a new life within your new reality. You learn who you are and what you’re made of. Some say dragonflies are the souls of the dead. Some say the deceased send us dragonflies to give us reassurance. First, off the deck, aiming west, there’s a brick-lined, mulched walkway with six round stepping stones in it—three had belonged to my mother. She walked on them to go from her back door to an enclosed patio. The walkway goes to a concrete-stone pad with a fire-pit and passes a semicircle flower bed with a cobalt-blue bottle tree, a birdhouse-on-a-pole from the Franklin Main Street Festival, a pot with tall, ornamental grass, a cobalt-blue sea ball from Oregon, and assorted blooming perennials. Then there’s a circular herb garden, made like a medicine wheel, outlined with stones, with a square-stone pathway inside it running one side to the other and top to bottom, forming a cross, plentiful with parsley, sage, rosemary, sweet mint, and thyme. I planted a hibiscus bush there, too, to give shade protection to the tender plants. I thought it was going to be like the one my mother had on the side of the house I grew up in, but it is a Rose of Sharon variety with a pink carnation-like flower. Turning north, the stone pathway I just completed passes a bed of plants I’ve mostly begged off my sister and friends—Siberian irises, black and blue salvia, coreopsis, cannas, creeping jenny, Carolina jasmine, ajuga, nandinas, forsythias, and other things I don’t remember the names of. I’ve placed decorative items out there, too, among the plants to add meaning: a piece of the original tombstone of my Revolutionary fourth great-grandfather Mahaffey; a flat rock from Three Mile Creek in Ohio on land that once belonged to another Revolutionary ancestor, Jacob Boone, cousin of Daniel; and a block of a pecan tree my father planted in our backyard on Deering Street when I was seven, felled by the Great Ice Storm of ’94. These represent the substance I’m made of. Also, there are two statues of little girls I took from my mother’s garden after she died, and a bird bath that belonged to her. There are my husband’s collected arrowheads from boyhood sitting in a pottery dish. There’s a painted wooden gull I bought on the Oregon coast last year, two tall handcrafted birdhouses, and a cobalt-blue gazing ball. I built all of this. I planted every tree, bush, and flower in a desperate attempt to give life, to have life around me, to give something a chance to grow and bloom. I amended the fretfully annoying clay-soil, added nutrients, and watered diligently to make it all healthy, make it last, because life is fragile, life is fleeting, and everyone needs a chance at life. I sit down in the Adirondack and look at the bright yellow sky with gray clouds, back-lighted, gathering at the horizon to crown the setting sun. Dragonflies are still zooming above. They’re fast, their life span is short, they spend most of their lives in the larva stage, and when they fly, it means they are near the end. Their winged stage lasts only a few weeks. When you see a winged dragonfly, you know death is near. Right now, they are getting all the life in they can before they die. Four hours after Charlie died, my sister arrived from Memphis and said, “You’ve got to build a whole new life.” It didn’t sit well. I wasn’t yet used to the fact that I’d lost my life. I didn’t want a new life. I just wanted the old life. I scrambled to pull every thread of him back. Tears roll down my stinging-hot cheeks. Yes, I did all of this. All by myself. I wheel-barrowed in a hundred or more bags of topsoil and mulch, then spread it all with my bare hands. I hauled in all of these stones, four hundred three of them, and set them in place. Some of the rocks and stones, I brought from my old house, the one my husband and I built in 1994. Twelve, I brought back to Tennessee from New Mexico in 1992. Some came from my grandparents’ farm, family land since 1850. Most, I bought. The neighborhood grows still and quiet. It comes to me that this is my home. I have built a whole new life. I cry harder. Out of pain, out of pride. My fingers are tight in the joints. Brown is worn in around the nails, dirt under them. The nails are jagged and broken. A mulch splinter is stuck down in the quick under the nail of the ring finger, left hand, the one where my wedding ring used to be. I lean my head against the back of the wooden chair. My hair at the roots is soaked with sweat. I hear the hum of traffic on the interstate a half-mile beyond the woods and creek in the distance. I think I need to stain and seal the deck. Need to paint the Adirondack chairs a sea green as a contrast color to the cobalt. Dragonflies keep buzzing and darting. The dragonfly symbolizes new beginnings. As a creature of the wind, it represents change—change in the perspective of self-realization and the kind of change that has its source in mental and emotional maturity and the understanding of the deeper meaning of life. Change is all about the dragonfly’s ability to fly and the way it is comfortable on water, on land, and in the air. The dragonfly’s agile flight and its ability to move in all six directions exude a sense of power and poise—something that comes only with age and maturity. The dragonfly can go forty-five miles an hour, hover like a helicopter, fly backwards like a hummingbird, fly straight up, down, and to either side. When your spouse dies, your feet are knocked out from under you, you are slammed to the ground, your face mashed in the dirt. The loss of a spouse begins a chain reaction of layers of losses—companionship, possessions, activities, income, future hopes and dreams—until everything is gone. Everything. Even the home you built together. I look around. Yes. I have built a whole new life.